George and Amal Clooney took out a very particular insurance policy on a recent transatlantic flight. According to Us Weekly, the celebrity power couple wanted to make sure all the passengers on the long-haul journey were comfortable — especially with their set of 6-month-old twins on board. To win over fellow passengers, the actor and director reportedly handed out noise-canceling headphones to everyone on the plane, ensuring that even the loudest cries would be muffled. Us adds that the other passengers — including superstar director Quentin Tarantino, because LA — were more than happy to snag a free set of headphones. They weren’t just any standard-issue options, either; the magazine notes that Clooney was actually giving out custom-branded Casamigos headphones, so the new dad’s generosity may have been fueled by a combination of courtesy and self-promotion. But hey, we won’t fault him for it. For those unfamiliar, Casamigos is Clooney’s own brand of tequila, which he started with businessperson and husband of Cindy Crawford Rande Gerber. What started as a niche business expanded to become a veritable empire, and the brand has partnered with other huge names, such as Sprinkles Cupcakes, Sugarfina candy and Umami Burger. He and Gerber sold the company for as much as a cool billion in June 2017, so, while Clooney’s raking in the big bucks by directing blockbuster hits, his side gig wasn’t anything to sneeze at. 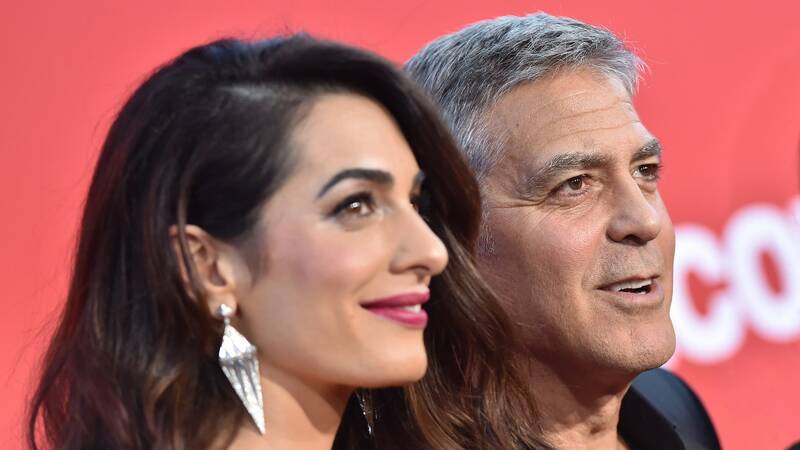 The Clooney twins, Ella and Alexander, have apparently already become quite the big personalities. Even though they’re just wee little things, Clooney told Extra that the twins are already setting themselves apart from one another. For the record, George, we’d love some free headphones — but we also wouldn’t mind listening to that tiny thug laugh at 30,000 feet.